Kick off the summer with us June 24! PlayCorps 2017 will kick off the summer at General Street Park with a Pop-Up Day of Play on Saturday, June 24th from 11:00 AM to 3:00 PM. 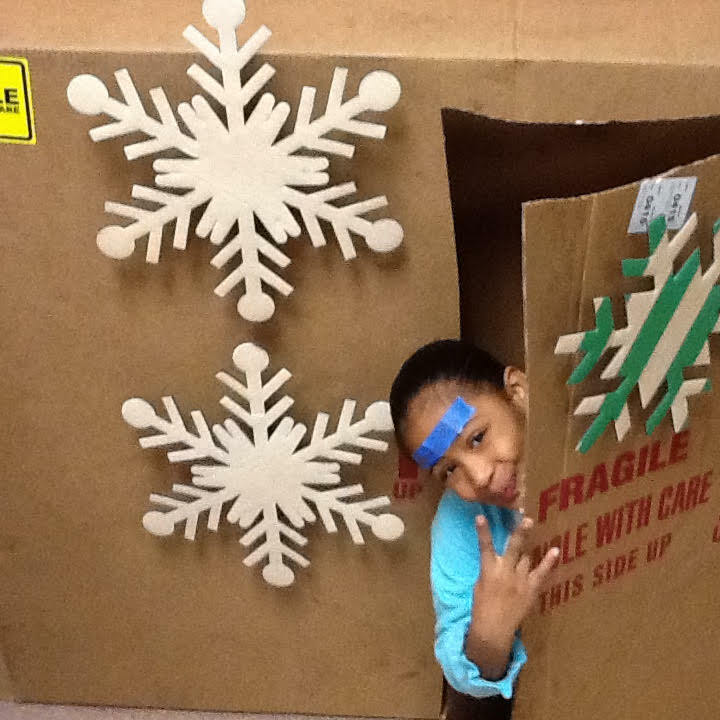 Build forts, blow bubbles, imagine stories, make anything, and meet the new PlayCorps team! It will be like an entire summer of fun in one afternoon. Everyone is invited! The event is free and open to the public. General Street Park is located off of Admiral Street in the Wanskuck neighborhood of Providence. It is located just behind the Recreation Department building at 11 West Drive. PlayCorps is Hiring for Summer 2016! Providence PlayCorps – an innovative collaboration between the City of Providence’s Department of Parks + Recreation and Healthy Communities Office, the Partnership for Providence Parks, and Providence Children's Museum – activates low-income neighborhood parks across the city with free play, art and creative exploration in conjunction with the free federal summer meals program. For a third summer, PlayCorps is seeking energetic summer Play Leaders and Interns to facilitate and support creative and rewarding play experiences for Providence youth. Providence PlayCorps 2016 is supported by Blue Cross & Blue Shield of Rhode Island, the City of Providence’s Department of Parks + Recreation and Healthy Communities Office, a Health Equity Zone grant through the Rhode Island Department of Health, the Partnership for Providence Parks, Providence Children's Museum, and the Rhode Island Foundation. Kids need to play all year long! So this December vacation, PlayCorps and the Partnership for Providence Parks teamed up with the Providence Recreation Department to offer a Winter PlayCorps program at GENERAL STREET PARK and at the adjacent Recreation building at 11 West Drive. A staff of three play leaders from the summer program facilitated indoor and outdoor activities over the three-day program. With Imagination Playground blocks, giant cardboard boxes (generously donated by our friends at Raymour & Flanagan) and fabric, tape, chalk, and paint, the children (ages five to 14) created everything from robots to forts, houses and storefronts. Signs on these structures read "Come on in. We want you to have fun!" and "Knock! Don't just walk in!" Smaller art projects included fabric painting, colored mandalas, molded clay, and braided gimp bracelets. Outside play was also a part of each day. PlayCorps provided mittens, hats, scarves, socks, and coats in case anyone didn't have cold-weather gear. In addition to running, swinging and ball play, the children took advantage of the snow on the second day to go sledding - a first time for some! 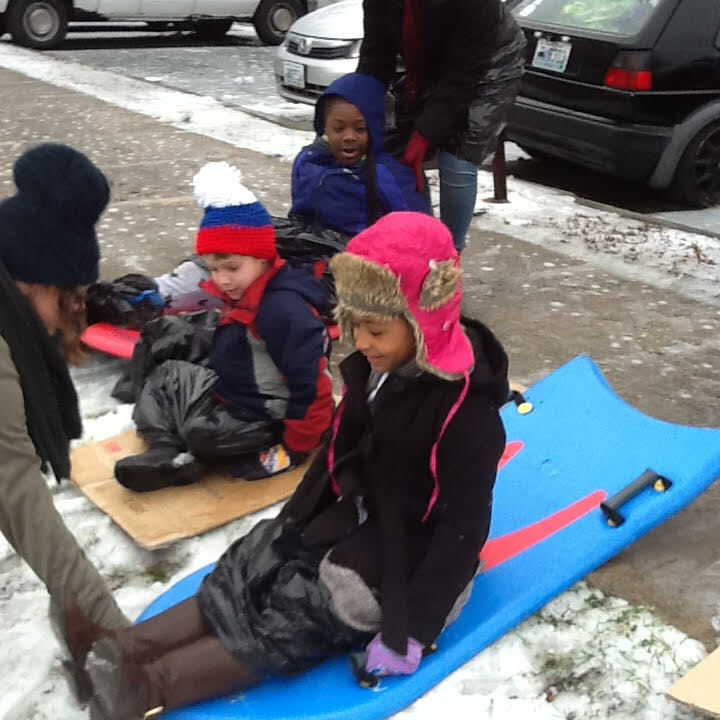 With store-bought and handmade cardboard sleds, the kids raced down the General Street Park hill even as the snow turned to slush and then to mud. 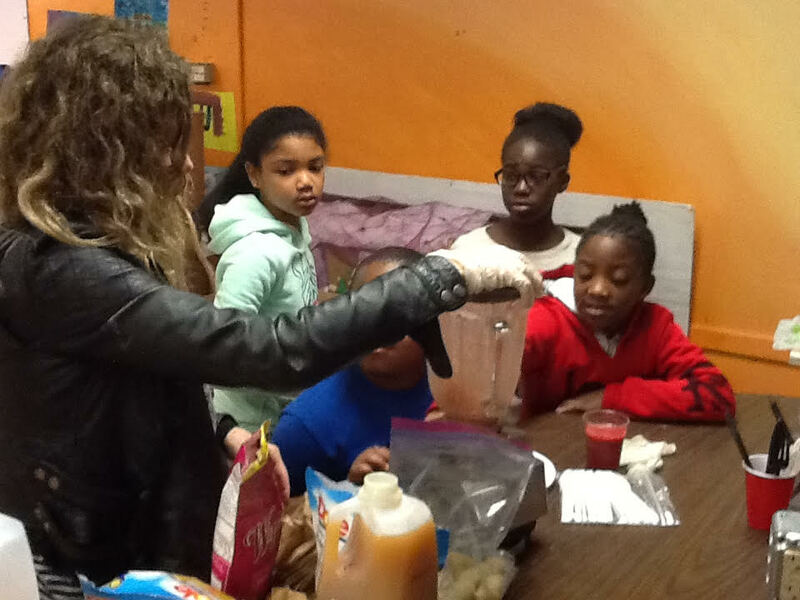 As in the summer, healthy meals and snacks were a major component of each day. The children helped prepare fruit smoothies and meat and cheese sandwiches, and roasted their own hot dogs and marshmallows over the fire built in an outdoor container (this was also a new experience for many of the participants!) Introducing new and healthy foods was one goal of the program - some of the kids tried hummus for the first time. The menu was researched and developed by staff and high school students at the Providence Career & Technical Academy (PCTA). In all, a total of 31 children participated in the Winter PlayCorps program. Some were transported from the Selim Rogers Recreation Center in Smith Hill and the rest came from the General Street neighborhood in Wanskuck. The third day had by far the highest attendance, demonstrating that more children attended as the word spread about all of the fun that everyone was having!